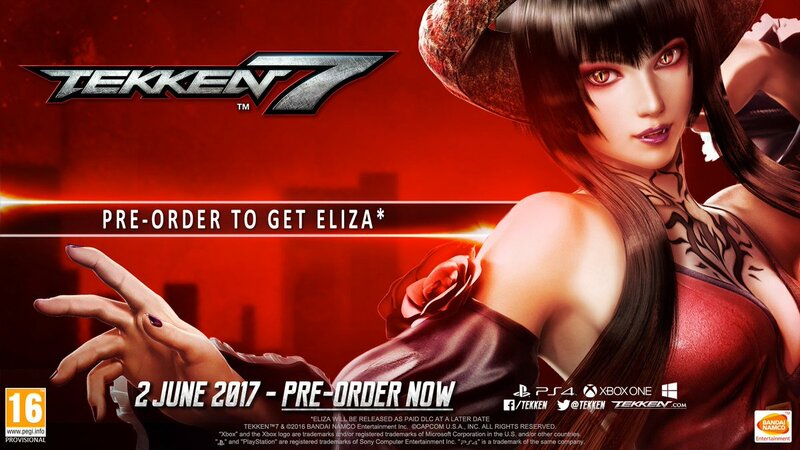 Pre-order the game TEKKEN 7 to get Eliza, the vampire dark beauty of the TEKKEN roster before anyone else! The game is set to be released on 2nd of June, so you have less than 10 days left. You can also get the special TEKKEN 7 Deluxe Edition and expand your fighter’s journey with two additional playable characters, a new game mode and hundreds of additional costumes. As an exclusive gift for purchase, receive over 30 metallic costumes for your characters and shine in the Iron Fist Tournament!